We Heart Yarn: It's about time! As some of you know, I taught my nephew to knit. He was really into it and wanted to knit a felted bag like mine. 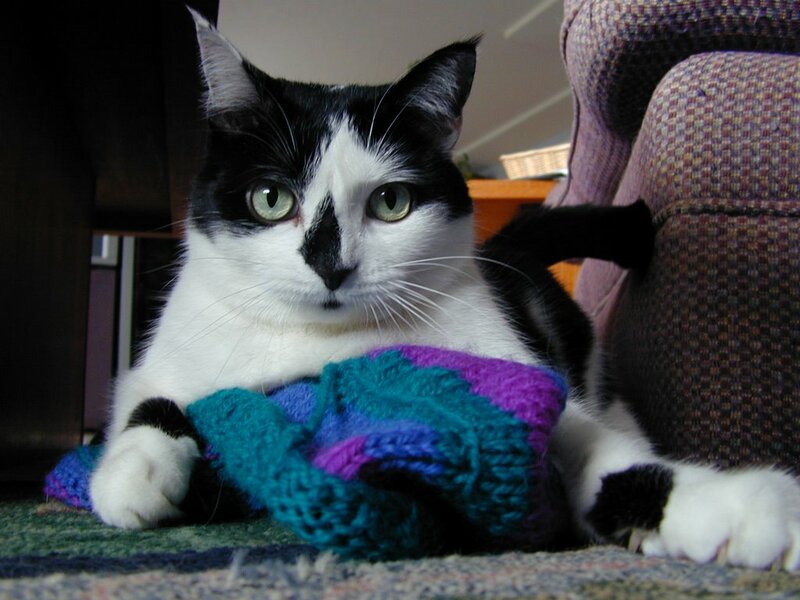 So, for Christmas (2004) I bought him yarn and needles and gave him directions for knitting a Booga bag. 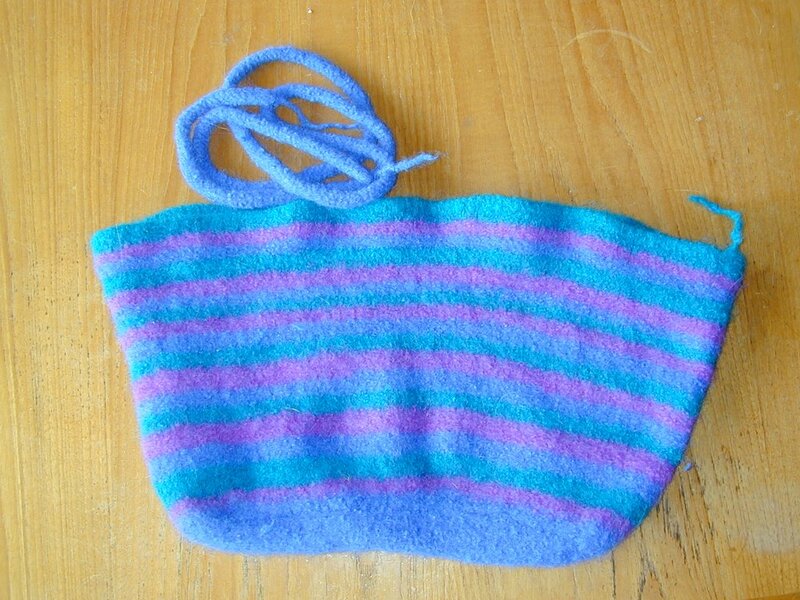 He knitted and knitted and then gave the bag to me to felt. Well, that was last summer. 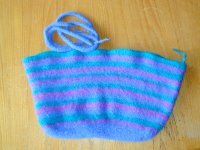 I can't decide if I'm lazy or busy, but I finally felted it (with Abby's help). She doesn't usually care so much for my knitting, but she sure liked M's bag! 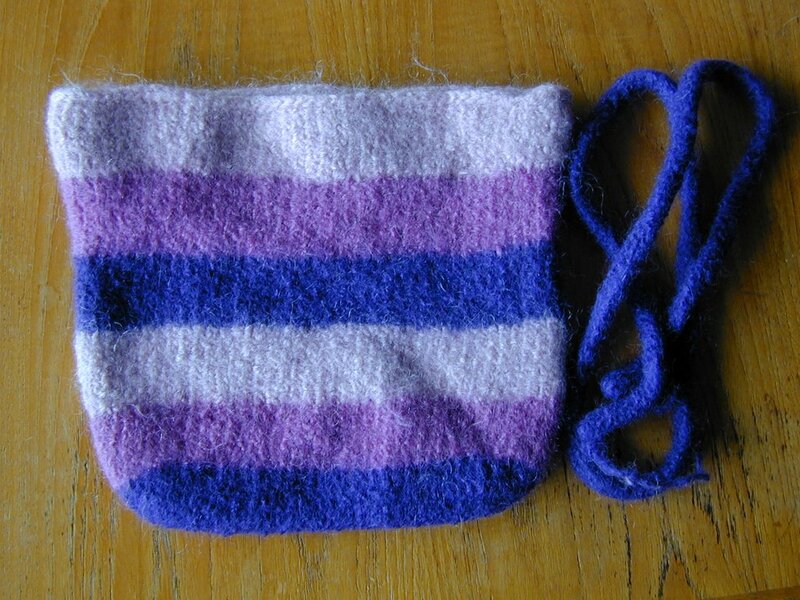 Here it is after I felted it (still wet from the washer). Pretty nice, huh? My niece (his cousin) also knitted a Booga bag, which I felted today, too. Her bag is smaller, and I think she did a great job with the colors. Toodaloo, I'm off to plant primroses (as long as it doesn't start raining). Love the bags! And, I must say, your kitty is adorable! What a talented family you have, J! Lovely booga bags...gosh, remember the booga bag addiction of 2004 here? Symmetry is a wonderfully splendid thing! Secret Pal, I Heart You!